provide our valued clients with unique marketing solutions. 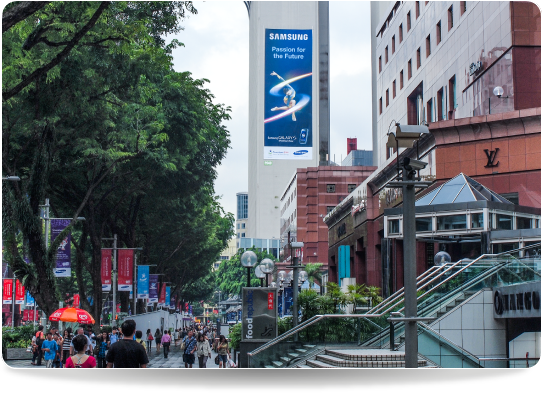 Believed to be the highest billboard erected in Singapore in modern times, this large-scale site is located in the heart of Orchard Road, the city's world-renowned shopping district. With a top edge measuring 100m above street level, it is visible from as far as 1 km away. Regarded as extremely high-risk by most contractors, we overcame formidable technical challenges to produce a compelling advertisement at this leading location. 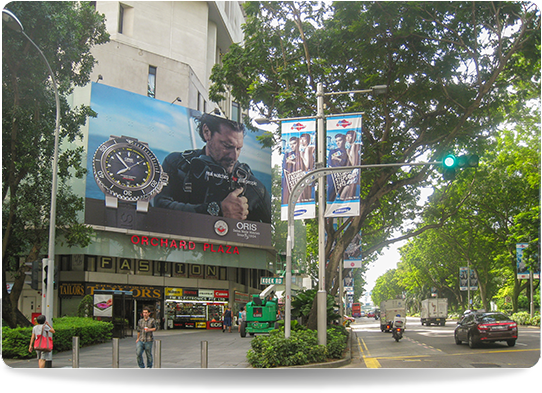 As the longest billboard on Orchard Road, this is one of the most highly sought-after sites in Singapore. Advertisers consistently opt for long periods of exposure here in order to benefit from its location at a major cross-junction, which is always heavily congested with tourists, high-income shoppers and locals heading for the city’s premiere shopping street. 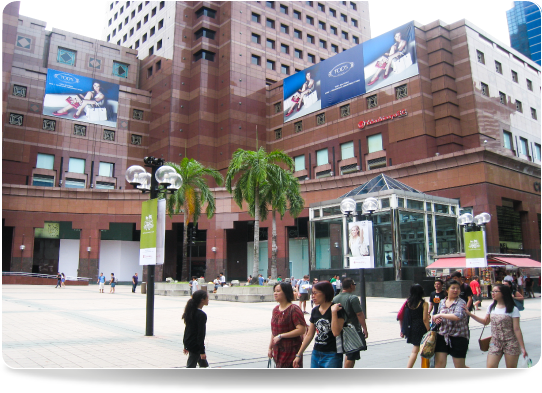 The majestic granite and marble facade of Ngee Ann City will create a unique backdrop for your advertising message. POAD’s four-faced display towers above the large open-air concourse, dominating a hugely popular hangout and meeting point for tourists and locals. We conquered significant technical obstacles to ensure the end product met our unceasing demand for supreme quality. Brands clamour for this unmissable site. 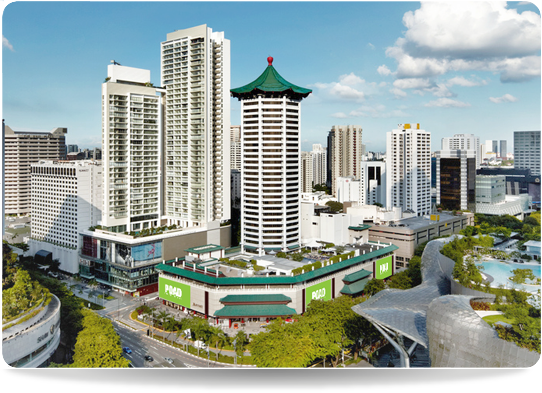 Exclusively available with POAD from November 2012, this prominent billboard places your brand at the heart of bustling Orchard Road. An invaluable combination of shoppers at 313@somerset and commuters entering the MRT opposite provides an extremely desirable audience pool for this exceptional addition to our portfolio. 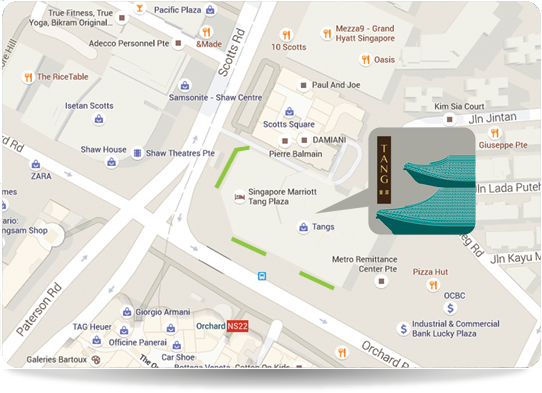 Set in a prime location amidst Singapore's leading attractions, this will be a much coveted site. Don't miss out! POAD masterminded a state-of-the-art 3D projection for HTC at Suntec City that left passers-by awestruck. At this location, both cutting-edge and conventional adverts benefit hugely from exposure to the inbound traffic on the airport highway. Innovative and flexible, POAD pushes boundaries and explores an array of media to discover the ideal marketing solutions for you. 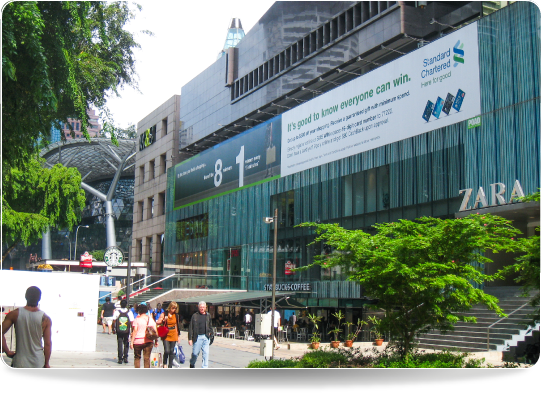 Situated on the ever-popular Orchard Road, this longstanding billboard on the facade of Orchard Plaza has been remarkably rejuvenated by POAD to target the locals and tourists of all ages enticed by both the sprawling shopping complex and the area's entertainment offerings. 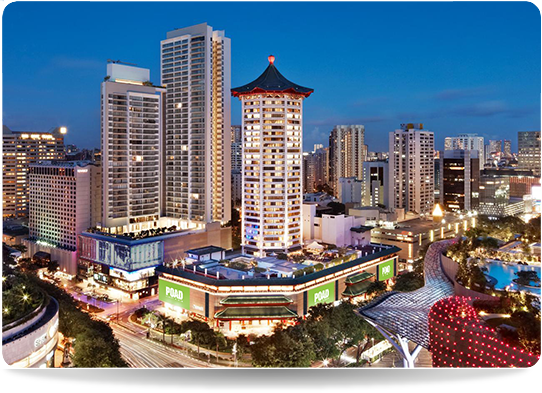 We continue to reinvent and revitalise to bring smarter outdoor to Singapore. One of POAD's latest large-scale displays in Singapore, The Cathay sits directly between the city's shopping paradise, Orchard Road, and its central business district. 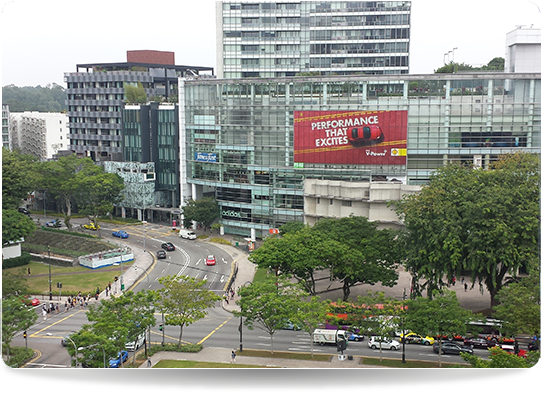 Facing a major four-way traffic junction and in view of the Singapore Management University, the School of the Arts Singapore, major nighttime entertainment destinations and an array of residential buildings, this site offers a vast and diverse audience to brands. 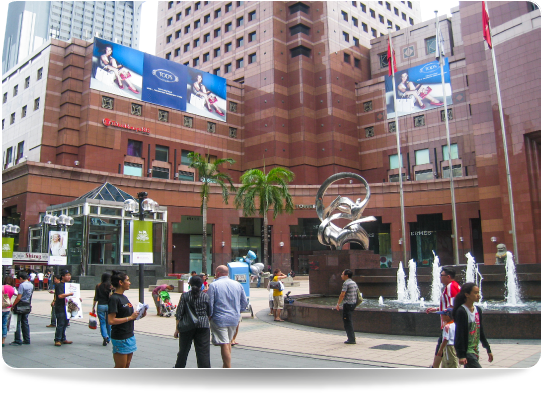 Sitting at the crossroads of Orchard Road and Scotts Road, Tang Plaza marks the gateway to Singapore’s premium shopping district. 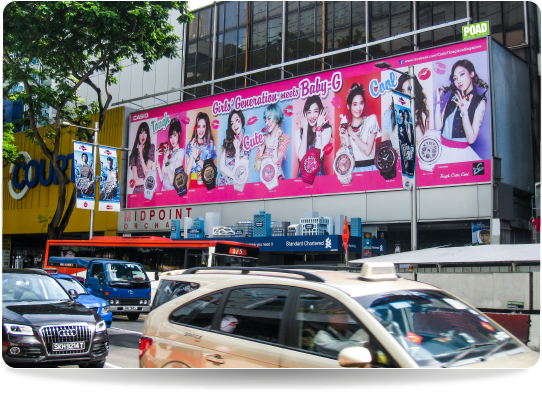 With a wide selection of formats from vast facade billboards to eye-catching underpass displays, we enable advertisers to obtain excellent visibility at the most valuable advertising address in Singapore, capturing the admiration of affluent consumers and tourists. POAD managed the advertising concession from Jul 2015 to 31 Dec 18.